Thank you to everyone who showed up last night – we raised over $500 for Promise Place. We have two more shows – Friday and Saturday at 7pm. Please come help us support a great organization. First, come to Five Kinds of Silence – see below for tickets. Second, bring one of the following items that Promise Place needs: toilet paper, paper towels, hand-sanitizer. Promise Place provides housing to victims of domestic abuse and these are some of the items that are badly needed. Tickets can be reserved for $5 by emailing info@mcintoshtheater.org. They will also be sold during school and in the office. Tickets will also be available at the door for $7. All ticket sales will go to Promise Place. We will perform Five Kinds of Silence, by Shelagh Stephenson, on October 2, 3 and 4. All proceeds will go to Promise Place, a local agency that works to prevent domestic violence and provides shelter for victims of domestic violence. In addition, a Promise Place staff member will make a presentation after each show. Please join us for a powerful and thought-provoking evening – and help us support the wonderful and necessary work Promise Place does. Five Kinds of Silence deals with domestic abuse and the lasting effects it can have. This show may be disturbing to younger audience members. In 2013, 116 Georgia citizens lost their lives due to domestic violence. In 2012, 7,750 victims and their children were provided refuge in a Georgia domestic violence shelter. Read-through for all cast and crew: Monday, August 18, 4-6pm. Thank you to everyone who auditioned – this was not an easy decision. I’ll try to have the feedback for everyone on Monday. I may switch some of the roles depending on how the reading goes. See you on Monday! I don’t want to drag this out too long. I’m still working on the ensemble and trying to figure out how many people I can cast (and I also need to get a few schedules from people) but I’ve decided on the leads. I will try to have the ensemble posted by 7pm tomorrow, but I have a lot to think about since there were a lot of great auditions. Thank you to everyone who auditioned! Why Five Kinds of Silence? For me, it comes down to the play being about more than just theater. It allows us to address a social problem that isn’t talked about much – certainly at the high school level, but one that we know some students and parents are dealing with. Five Kinds of Silence is a play that can change lives – if nothing else, by some audience members realizing that they are not the only person to deal with the problem. We will work on making our performances at McIntosh more of an event, with guests speakers and discussions after each show. I hope we can address such topics as how to get out of a bad situation and how people can help those who deal with domestic violence. After the reading yesterday, I liked Women of Lockerbie more than I ever had before and I know we could do a great job with it. My emotional side wants to go with Lockerbie, but Five Kinds of Silence appeals to the educator in me – it’s too great of a learning opportunity to turn down. 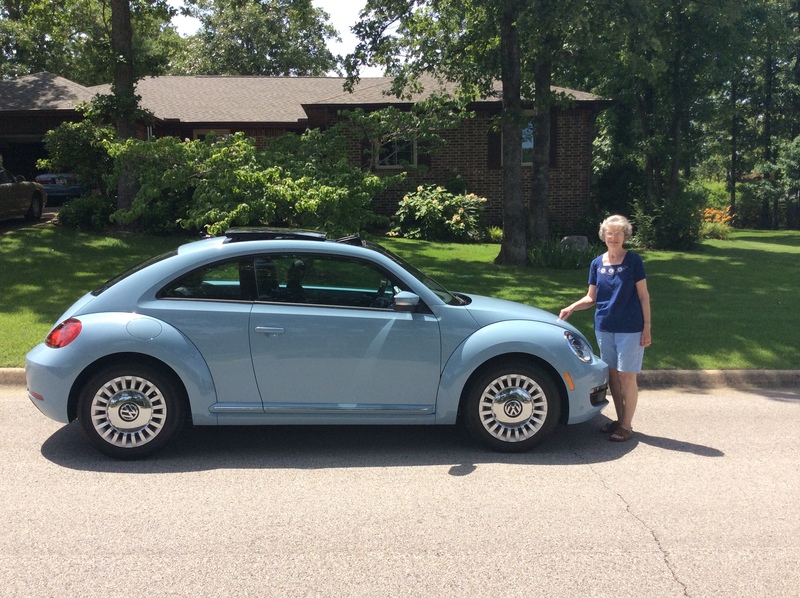 Mom and her new car Amelia. I didn’t ask about the name, but I’m assuming she named it after our wonderful thespian vice president Jordan. If you zoom in enough, you might be able to see the second newest member, Gabby, in the window. Thank you to everyone for such a great year! We had over 100 individual students and more than 20 parents involved in the three shows and I am so proud of all that they have accomplished. The awards below recognize some of the outstanding moments and contributions of the year. Again, thanks to everyone for all of the hard work and for having such great attitudes!